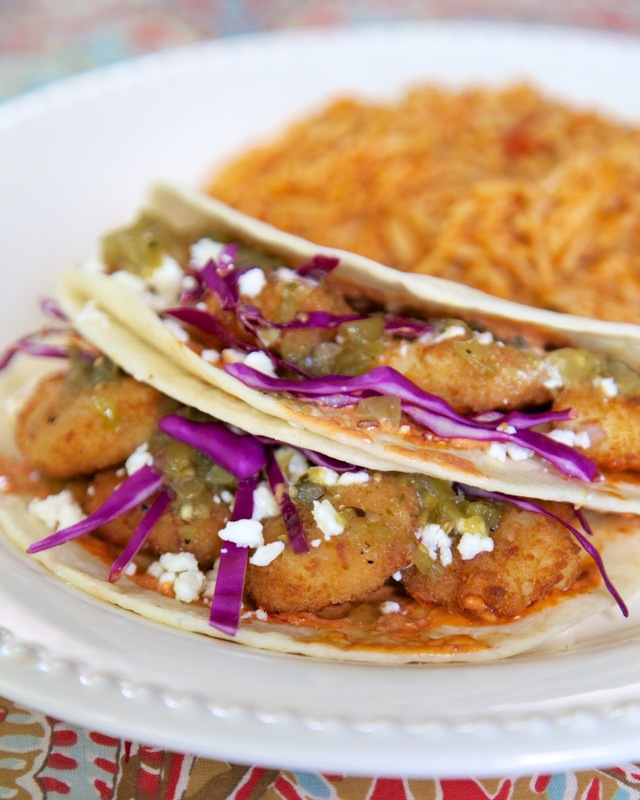 These Shrimp Tacos are adapted from Epcot Food and Wine Festival Cookbook. I took a shortcut and used some frozen butterfly shrimp. I didn't want to take the time to peel, devein and fry fresh shrimp. I know it is easy to cook shrimp, but I was looking for a quick weekend lunch. 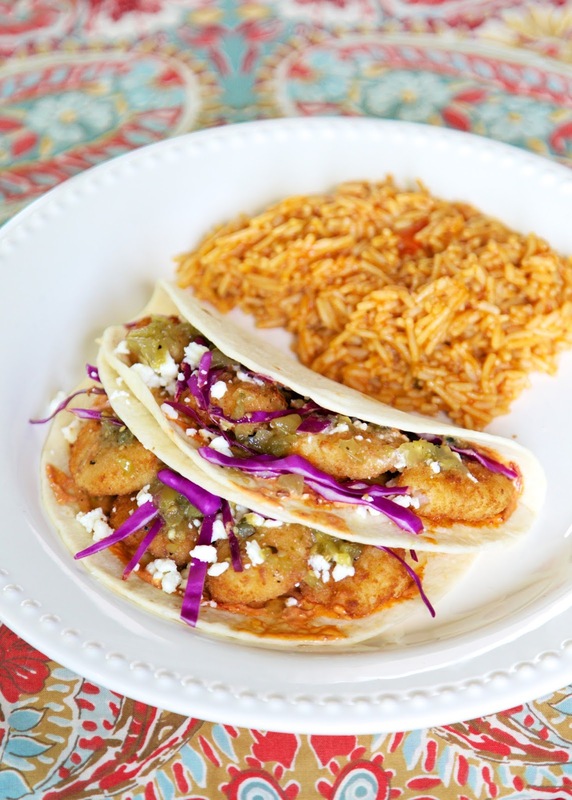 These shrimp tacos pack a punch from a spicy chipotle mayonnaise. It you are sensitive to heat, I suggest reducing the chipotle. These were delicious! We loved all the difference flavors and textures in these tacos. Using the frozen shrimp made for a quick and easy meal! Mix mayonnaise and pureed chipotle peppers in a medium bowl until smooth. Cover and refrigerate. Cook shrimp according to package directions. Remove tails. Set aside. To serve: Spread 1 tablespoon of chipotle mayonnaise on flour tortilla and place 3 or 4 shrimp down middle. Top with small handful of cabbage, cotija cheese and a drizzle of salsa verde.